MAKE YOUR OWN 3 EGGS….$13. each add….$1. French fries / seasonal vegetables & organic salad….$6. Whole wheat levain or english muffin….$3. Three eggs omelette with sautéed potatoes & a green salad….$12. Ham, bacon, chèvre, gruyére, tomatoes, mushrooms, spinach – each add….$1. Omelette Fermiere with ham, gruyère, & mushrooms….$15. Omelette du Jardin with spinach, tomatoes, & mushrooms….$15. Omelette Parisienne with prosciutto, gruyère, & mushrooms….$15. Mussels finished with shallots, garlic, parsley, cream….$22. 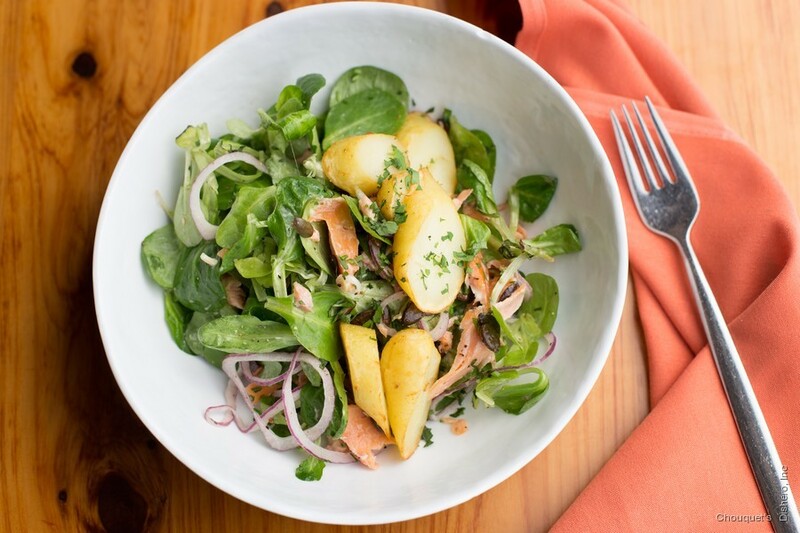 Smoked Trout with fingerling potatoes & mache salad….$15. Salad Nicoise, organic mixed green….$16. Roasted chicken, provencal herbs & french fries….$18. 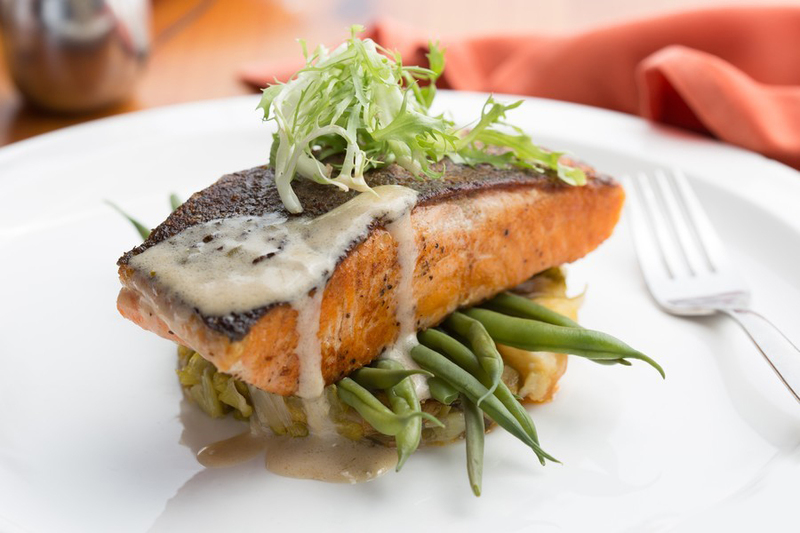 Pan-seared salmon & organic vegetables with sauce….$21. Tartlette of goat cheese & roasted tomato with sauce….$13. Cheddar, Swiss, or blue cheese – add….$1. Applewood smoked bacon- each add….$2. Warm chocolate hazelnut & banana crumble….$8. 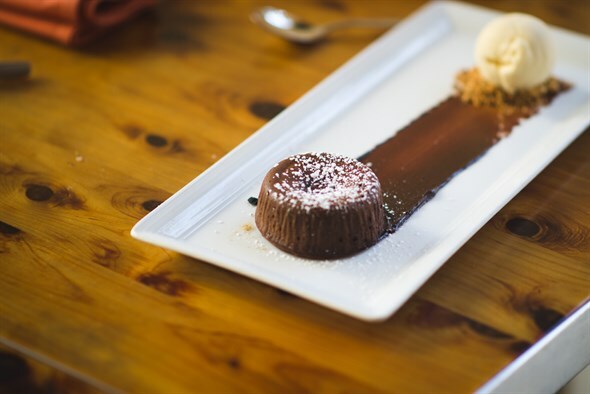 Chocolate fondant with whipped cream….$8.